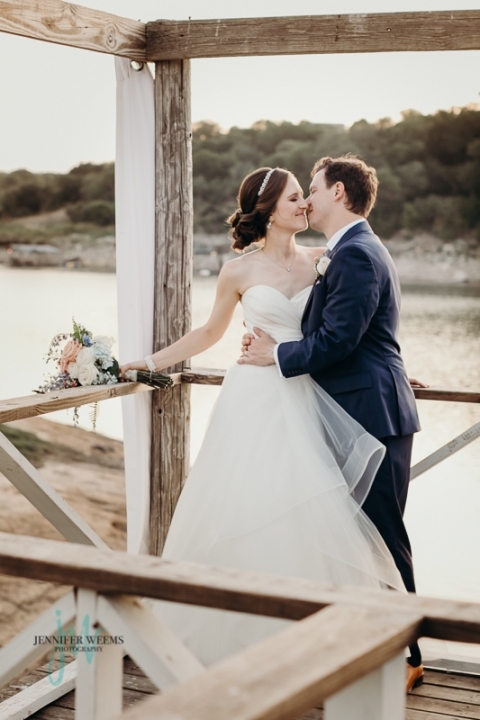 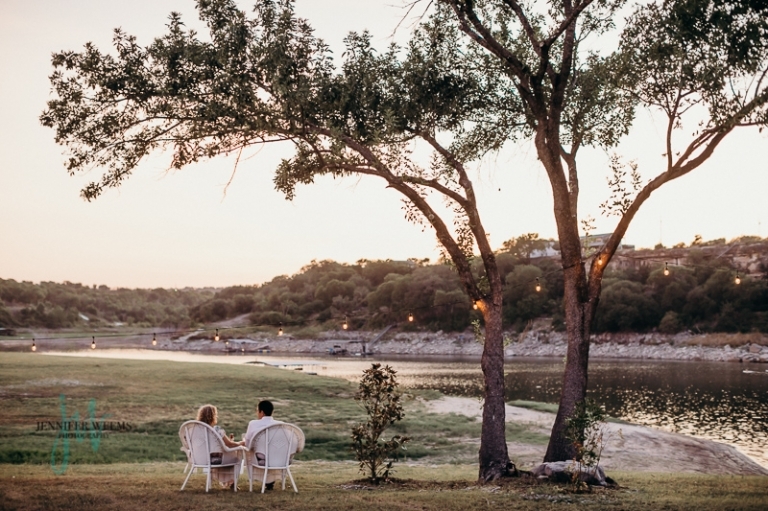 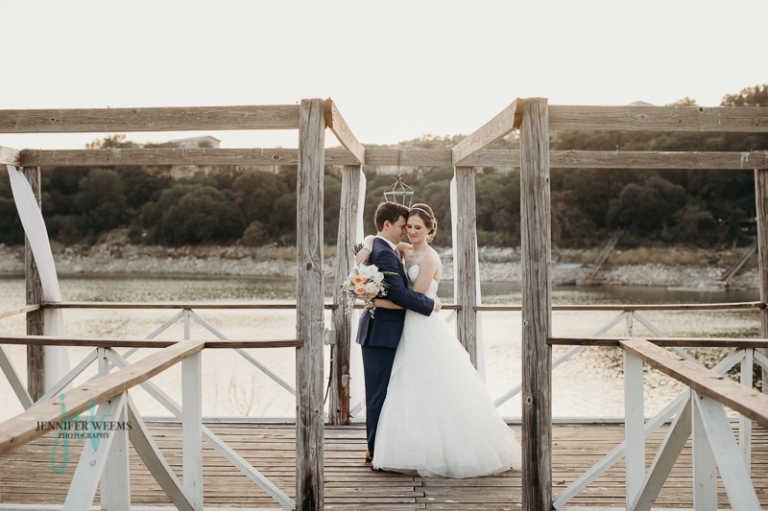 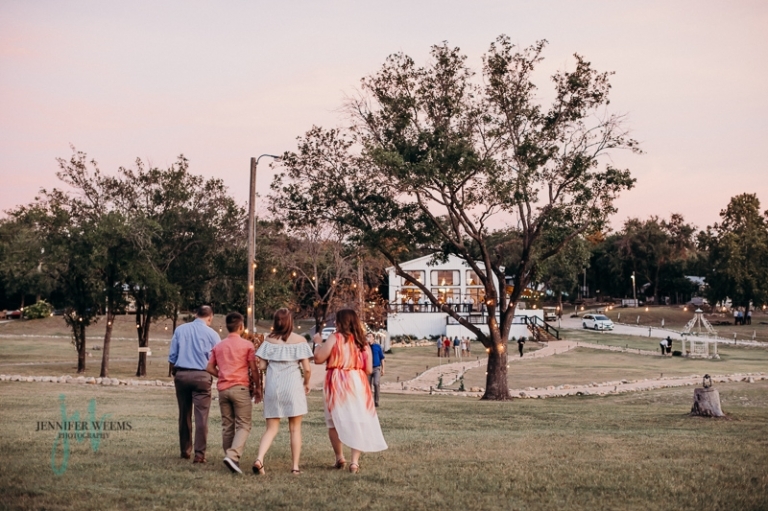 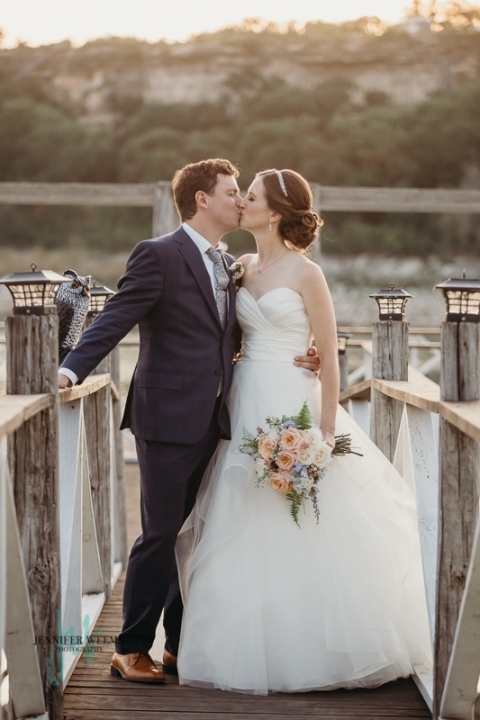 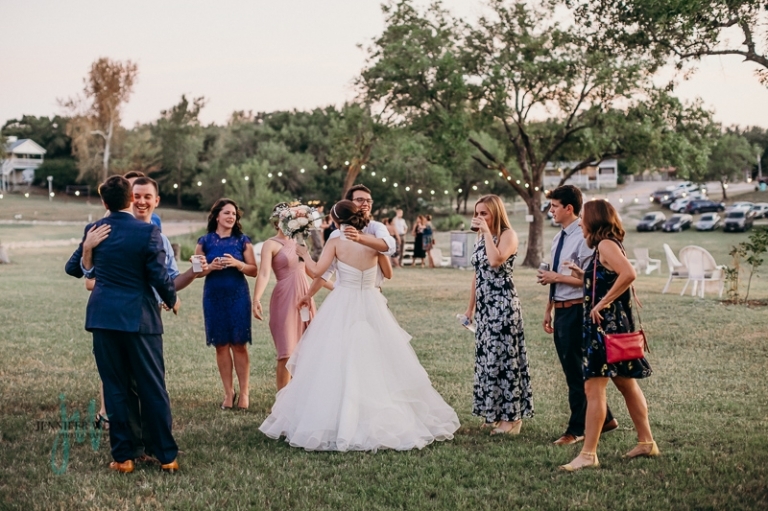 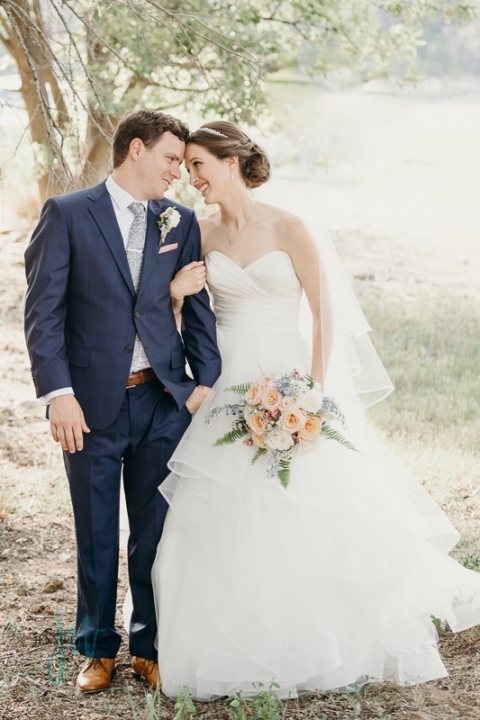 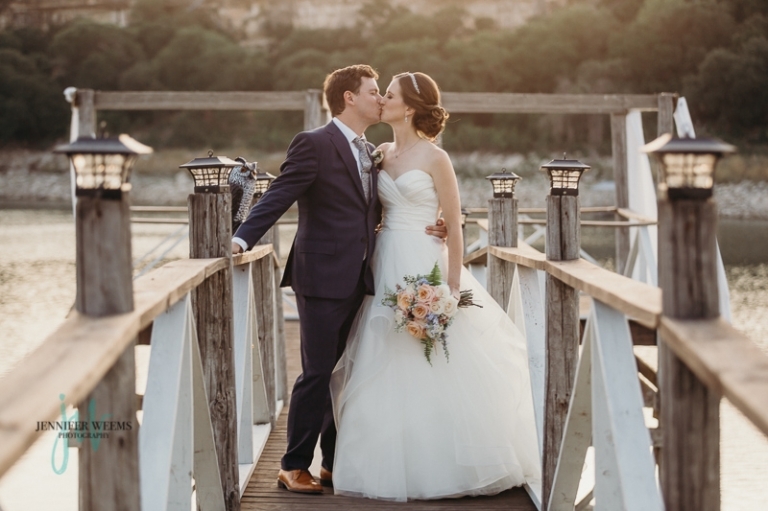 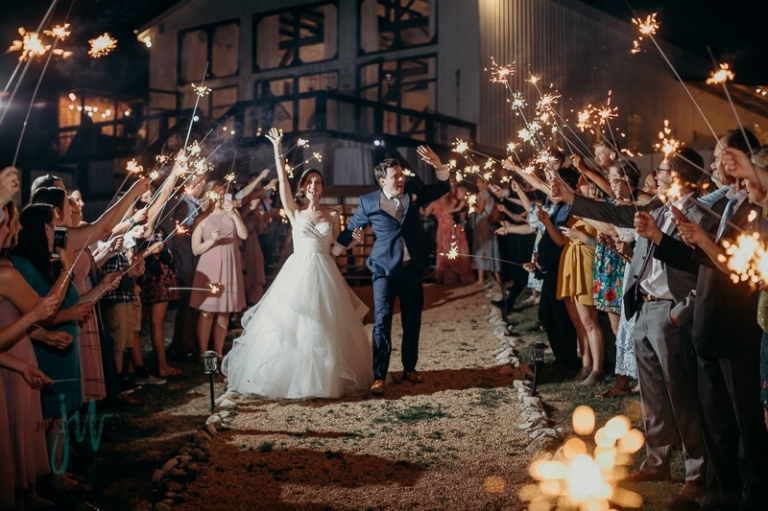 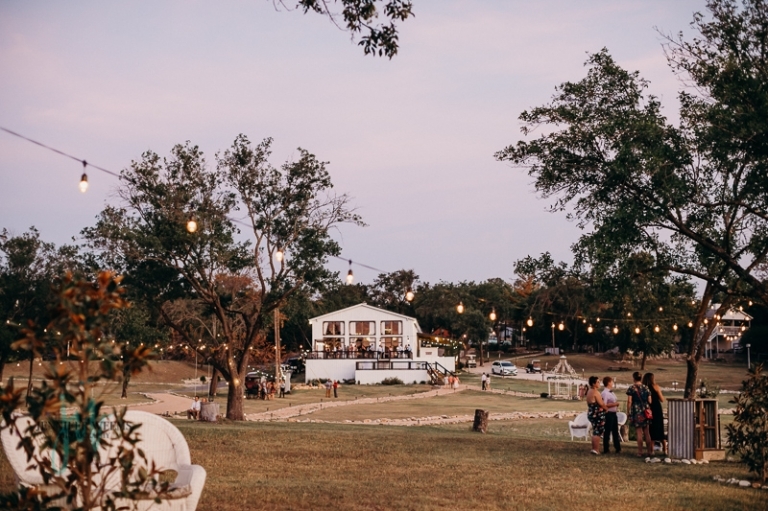 Joe and Alyssa got married at Blissful Hill in Spicewood, TX. 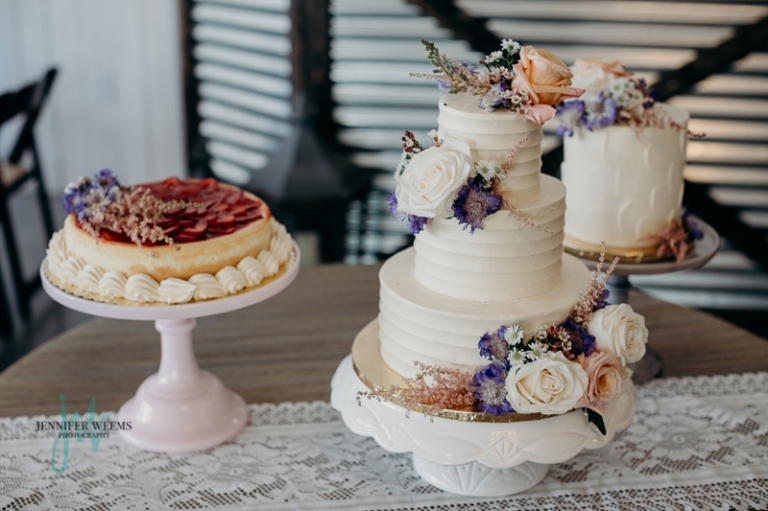 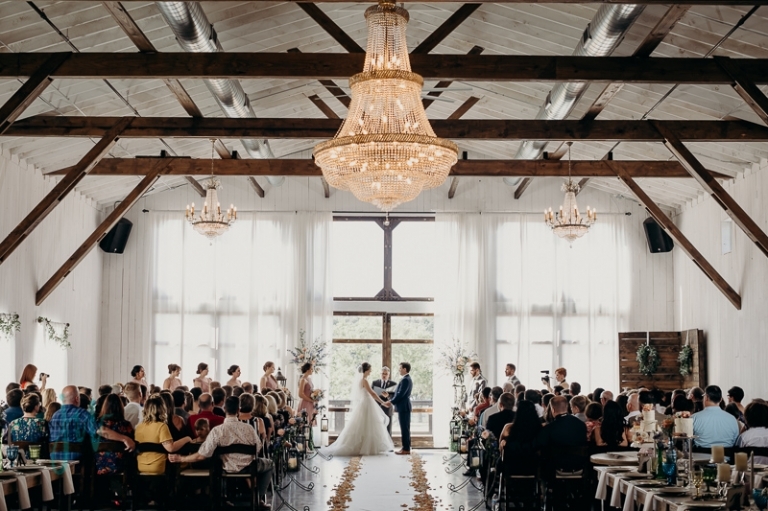 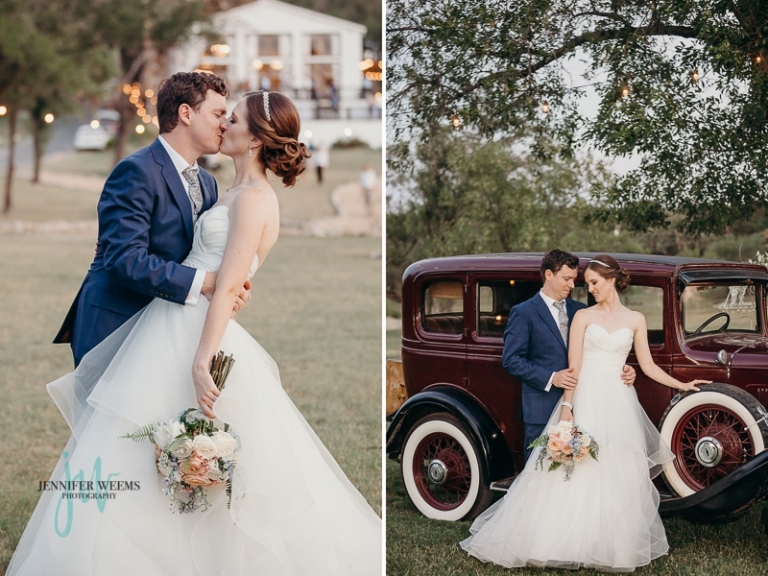 Their wedding was a beautiful display of all things vintage and timeless. 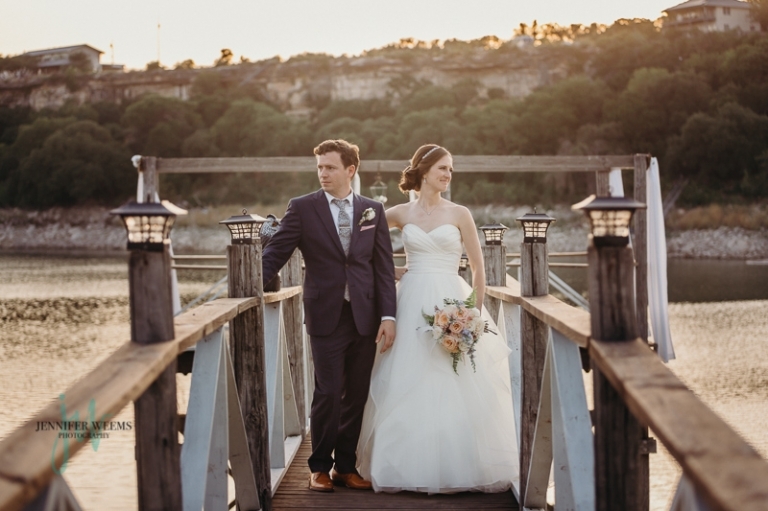 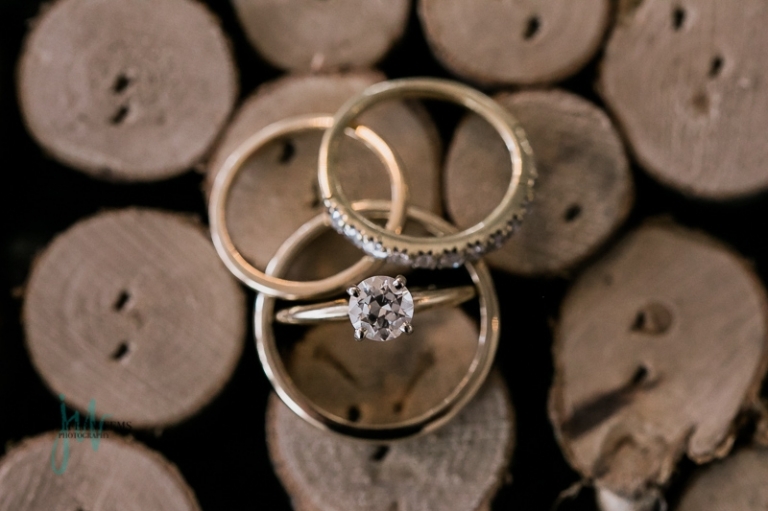 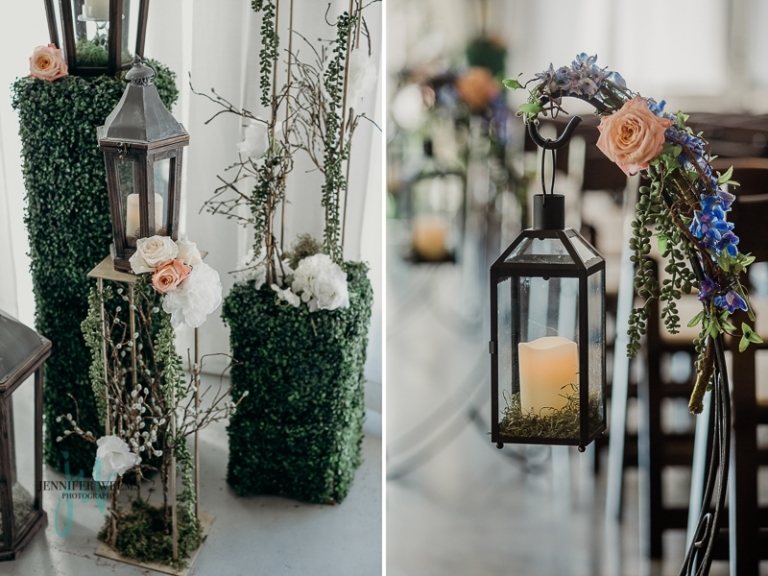 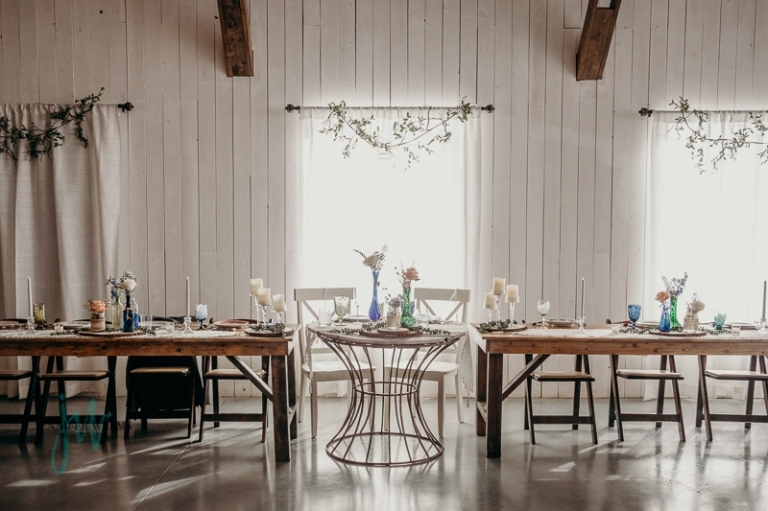 Blissful Hill was the perfect wedding venue for them, it complemented their every detail. 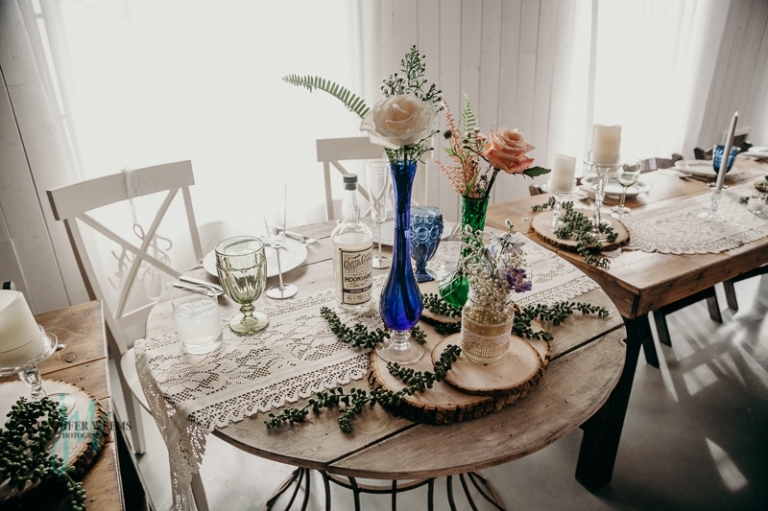 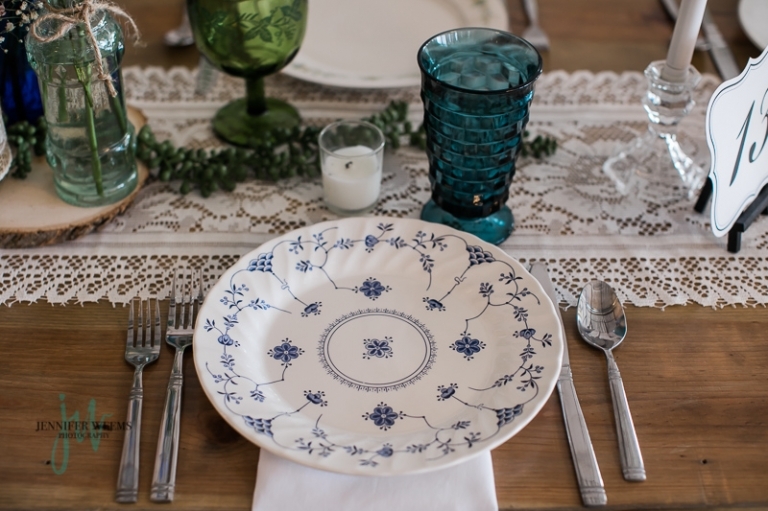 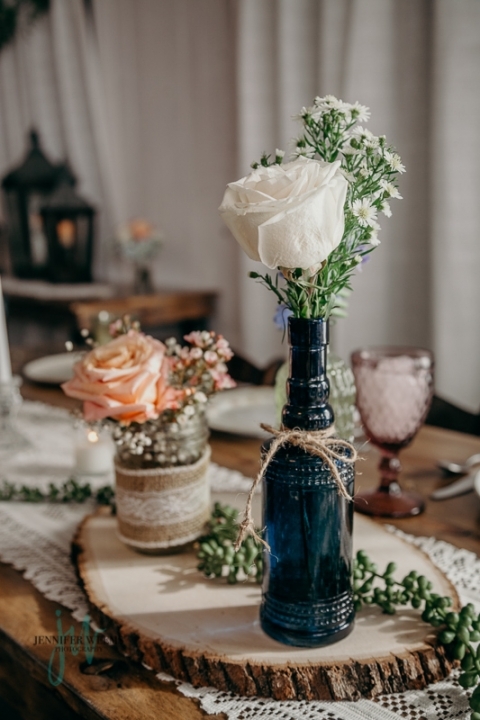 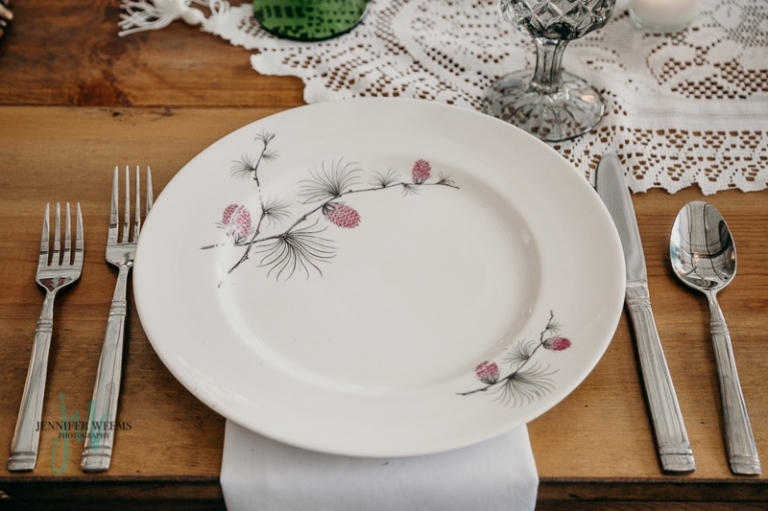 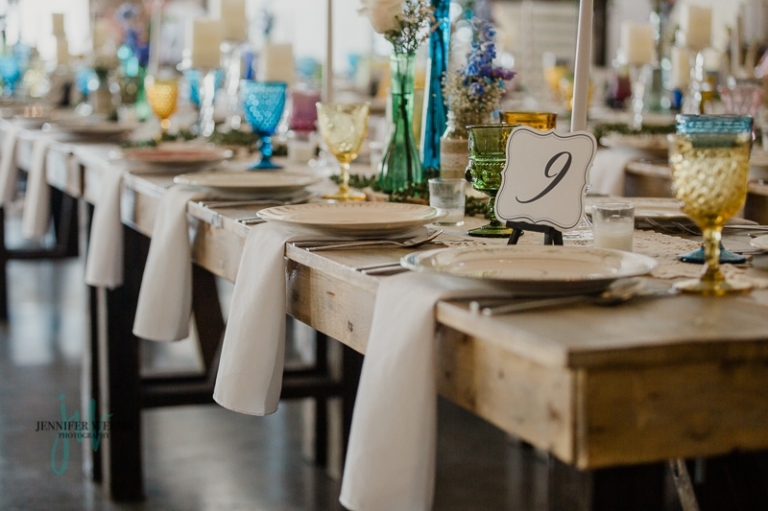 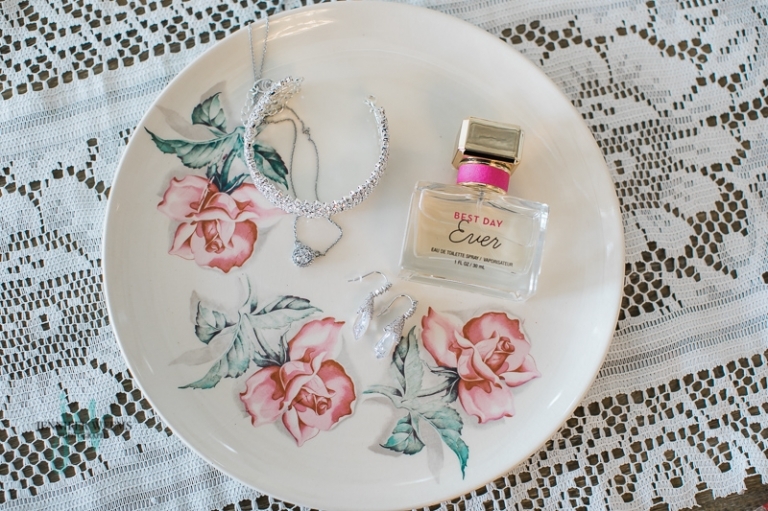 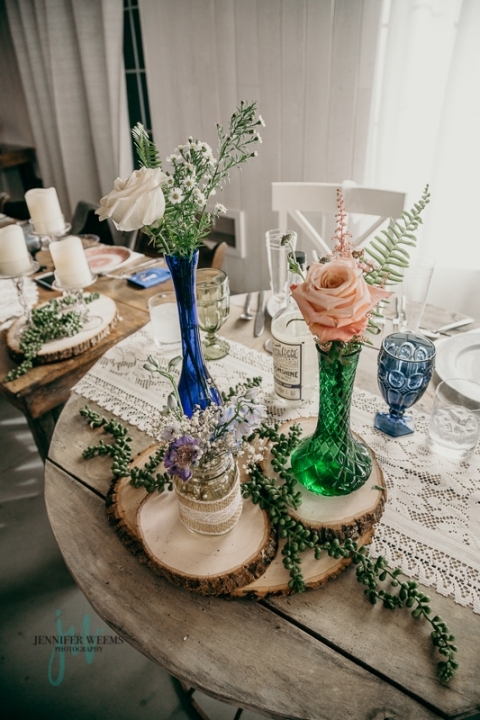 The table settings were a mix of watercolor floral and mix matched china and drink wear. 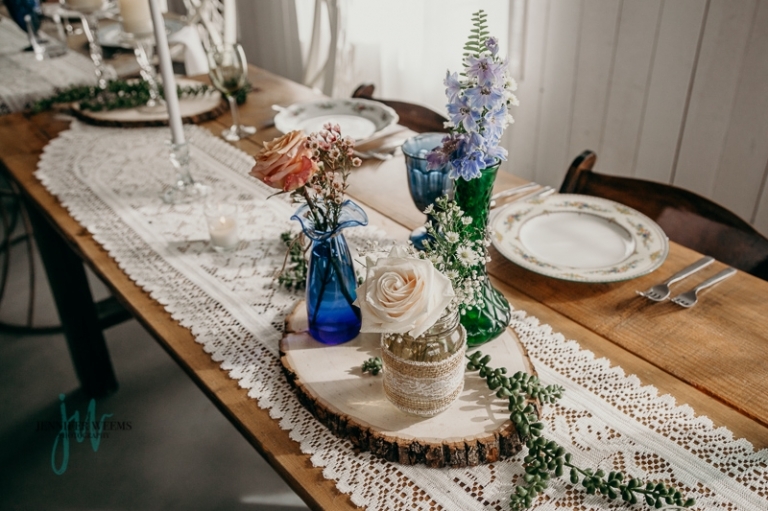 The soft lace table runners and long stem candles were also perfect. 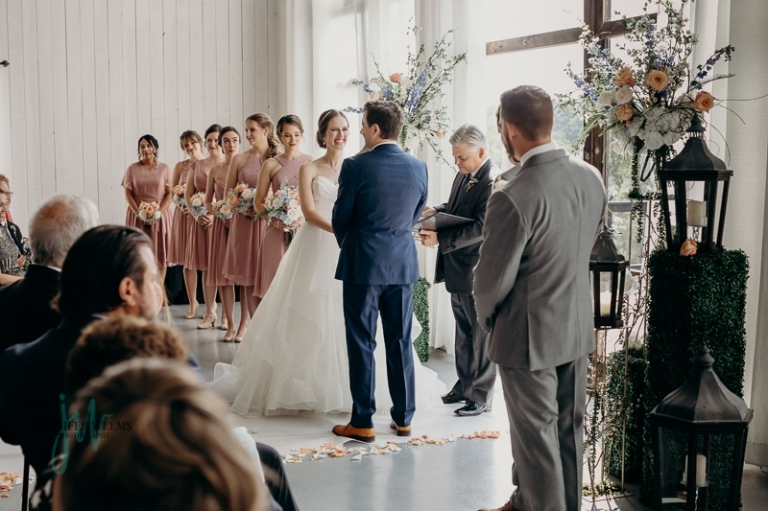 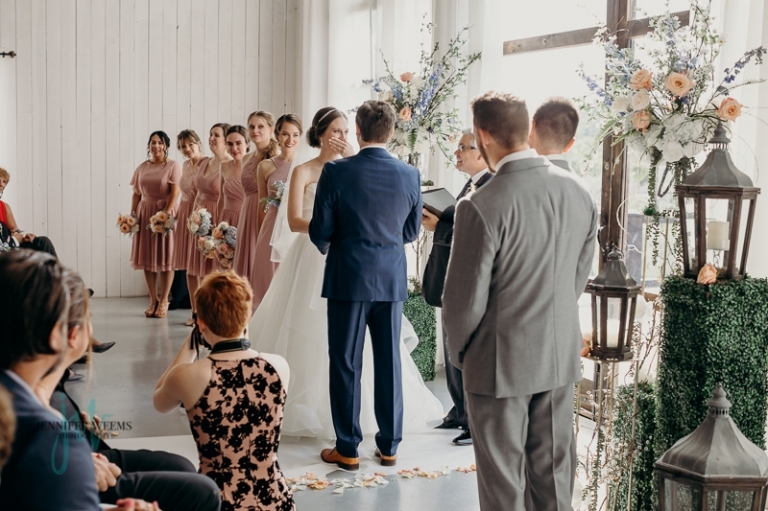 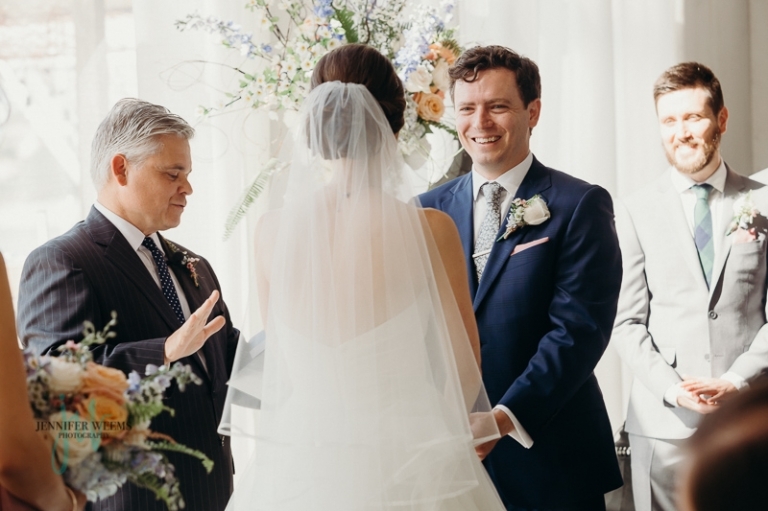 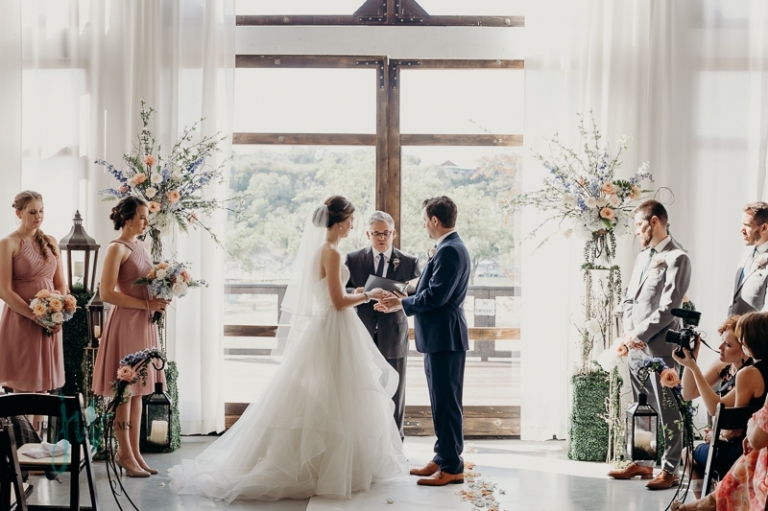 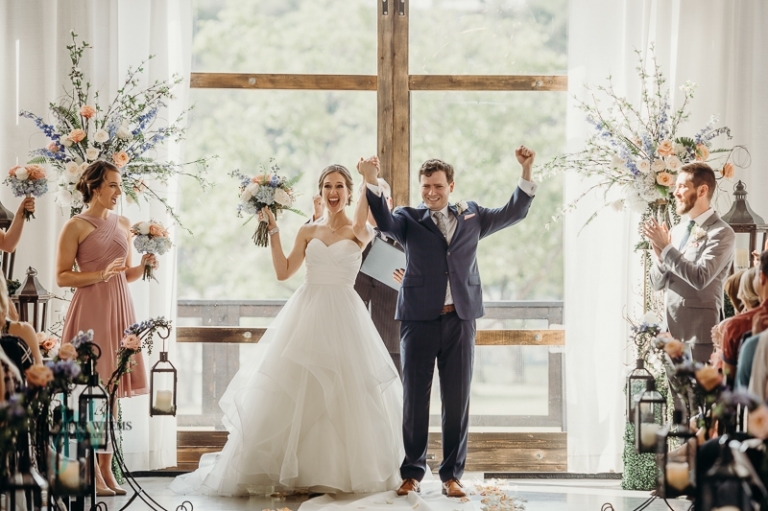 On this particular day, the Texas summer temperatures were in full force, so Joe and Alyssa wisely moved the ceremony indoor. 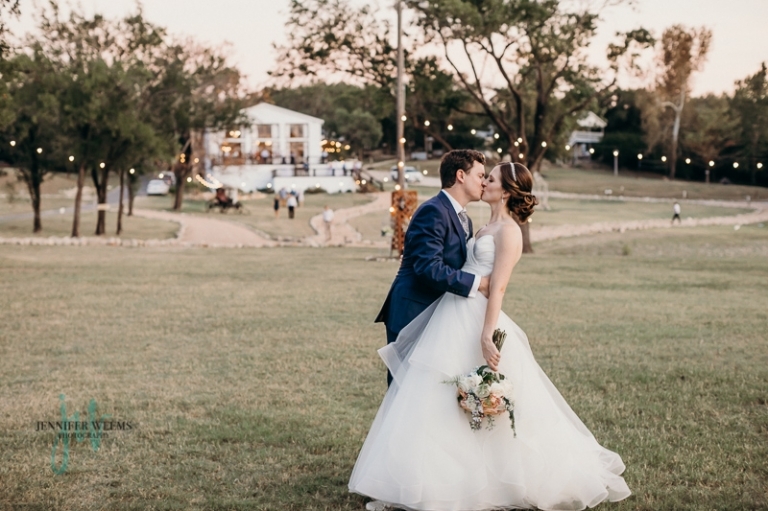 Honestly, it was so beautiful inside, it did not seem like a backup plan at all. 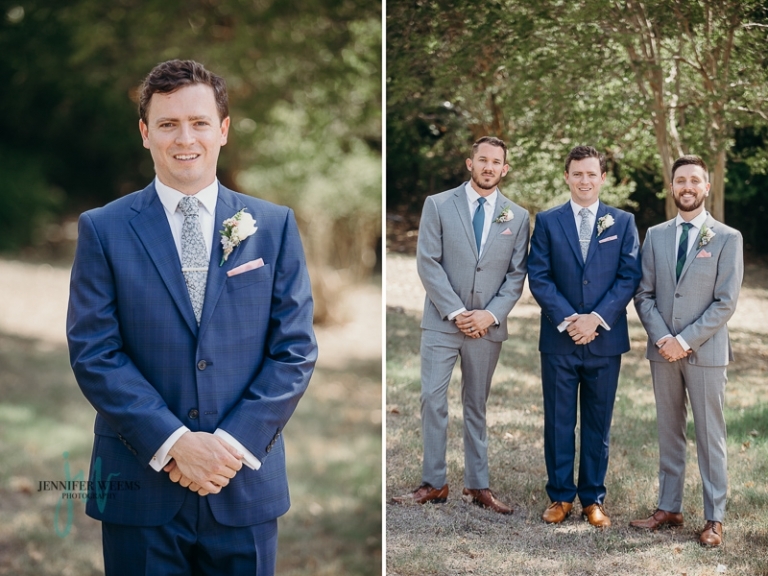 Once the ceremony was over, we did some quick family photos and went into the reception. 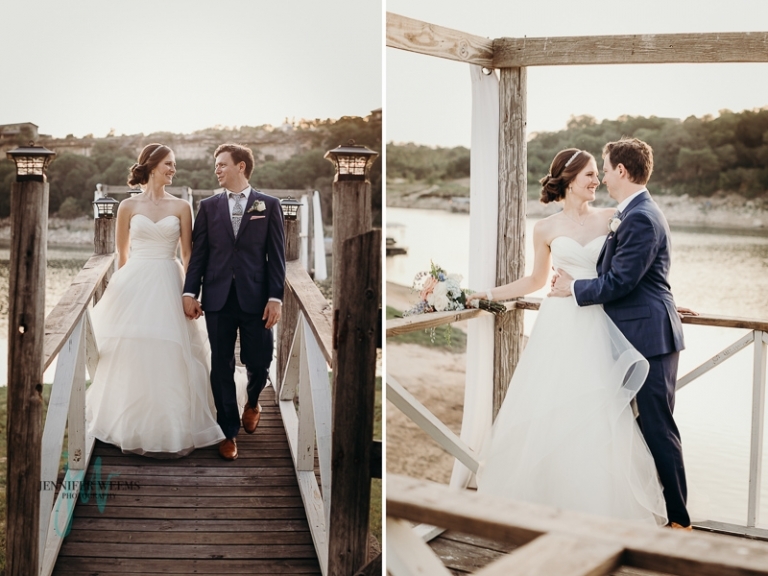 After the first dances and toasts, Joe and Alyssa snuck out with me to get some amazing sunset photos. 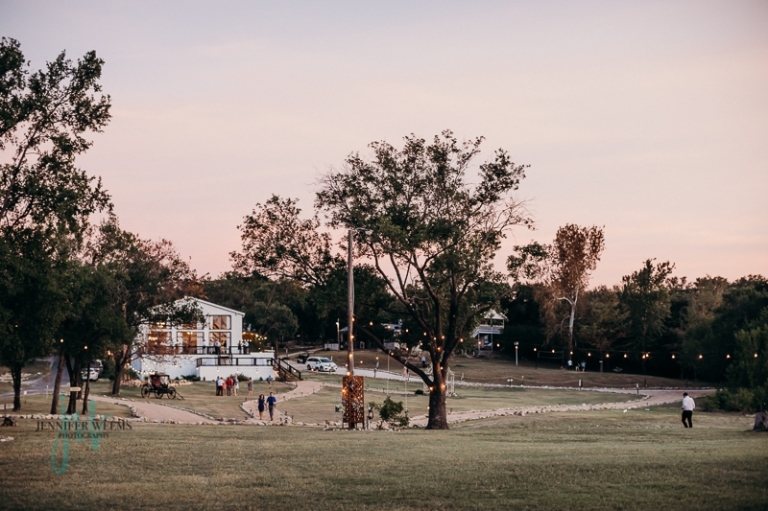 It was so nice to walk (ride in the golf cart) around the beautiful venue soaking up the last drops of colorful sky the day gave. 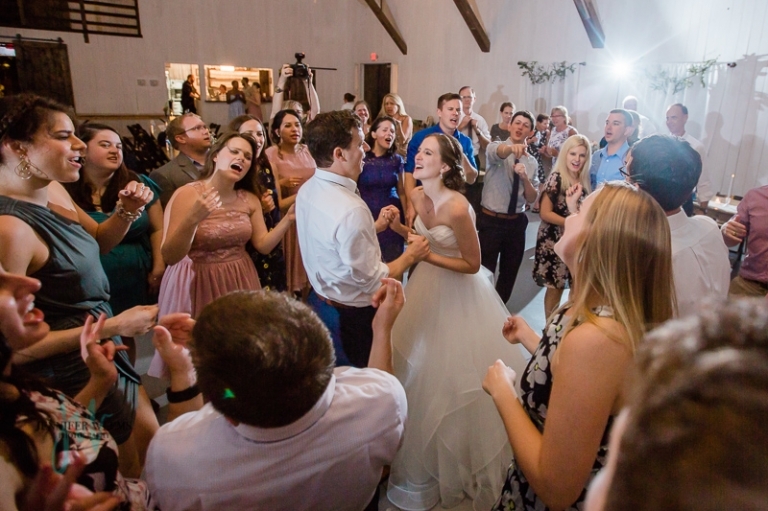 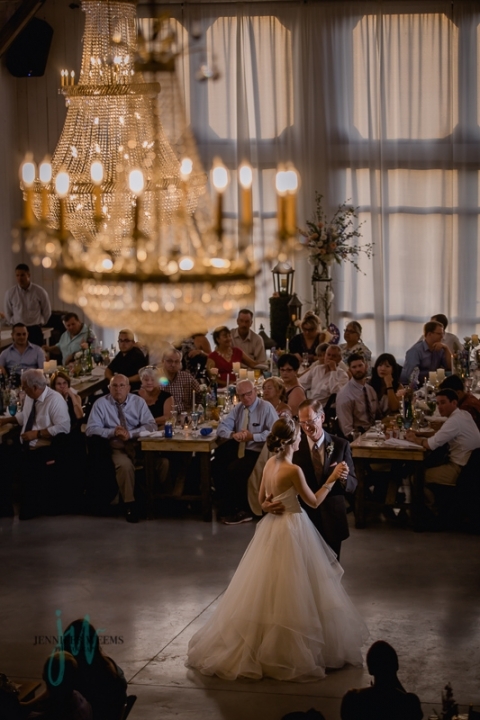 Once the bride and groom rejoined the reception, they danced the night away. 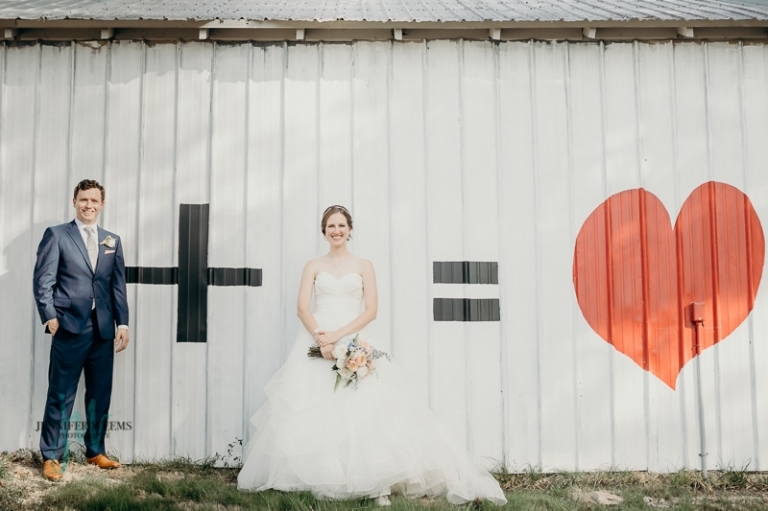 When asked if Alyssa’s parents had any expectations from her wedding photography, her answer was “general awesomeness”. 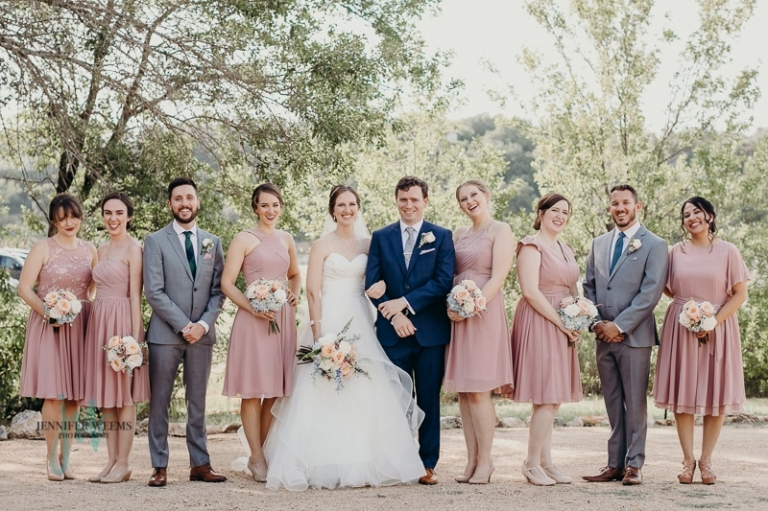 I hope I came close 🙂 To see the full wedding click HERE. 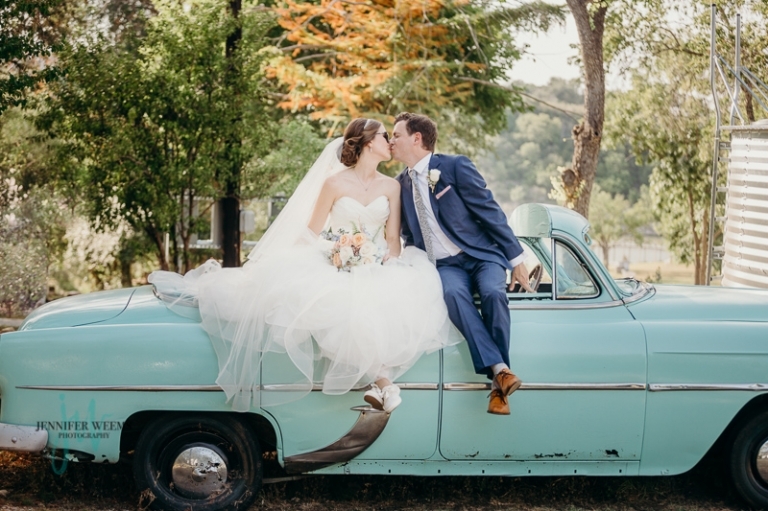 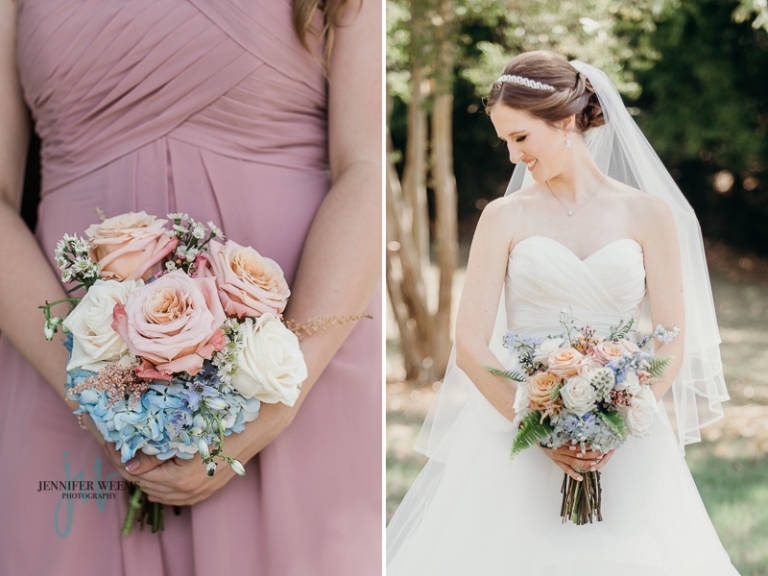 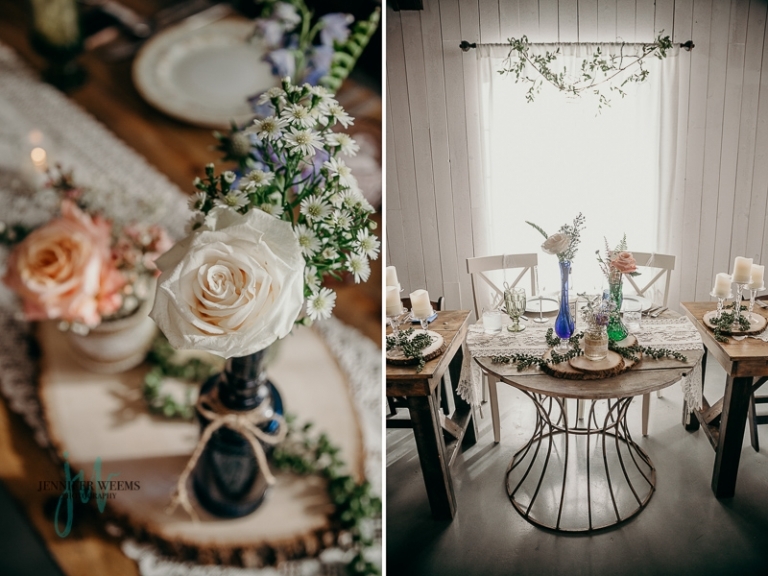 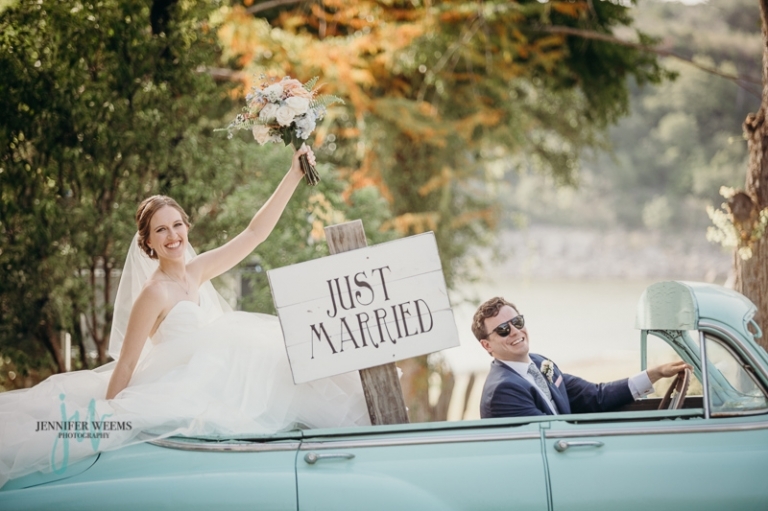 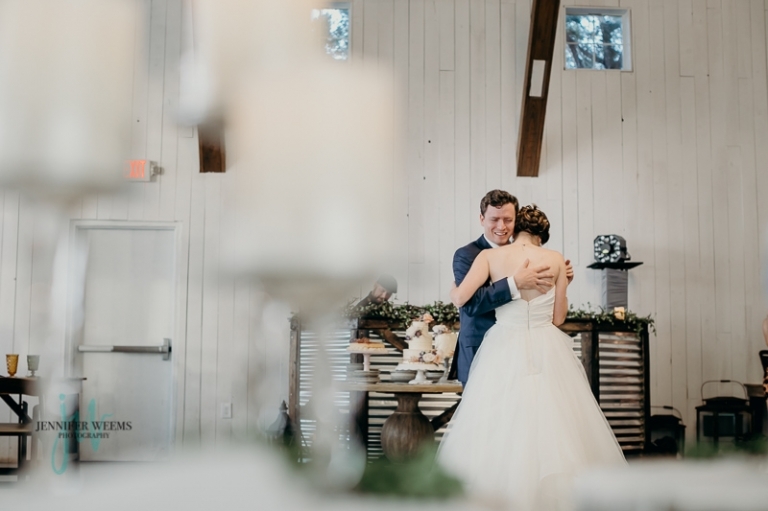 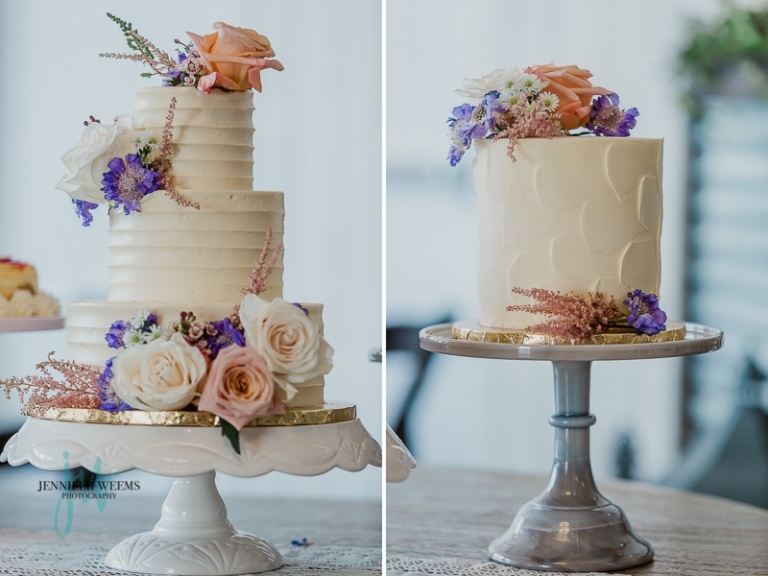 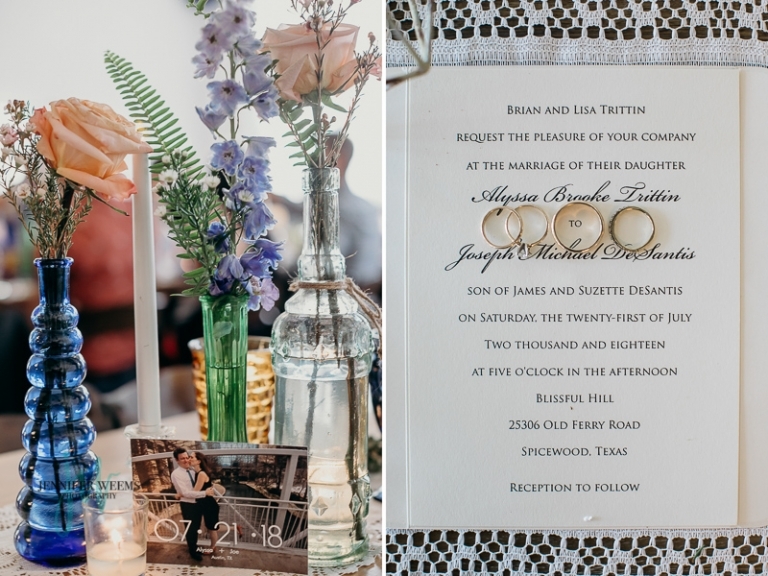 © 2019 Austin Wedding Photographer Jennifer Weems|ProPhoto Photo Theme|Design by Northfolk & Co.